Opening Day. Opening Day. The two greatest words ever. It’s unbelievable how two words can bring so many emotions. For Cubs fans, hey, you’re still in the race and the drought might end this year (it won’t). For Yankees fans, it’s time to be over confident, smug and arrogant – just kidding; you’re like that year round. Yes, opening day can mean many things, but one thing it’s not is a day. Didn’t the season start last week in Japan? Opening day is quite drawn out nowadays, but I digress. 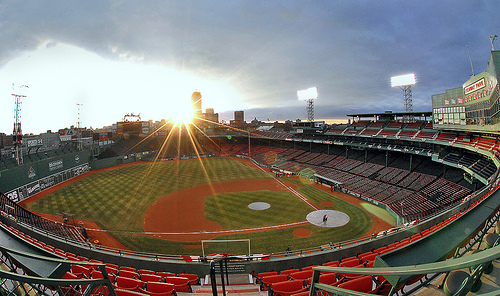 For me, opening day washes away all the beer and friend chicken smell and replaces it with the strong smell of hope (which smells like Fenway Franks and stale beer). However, there is another side to opening day (week). It’s the time of year when my reverse sports Darwinism sets in. For the next 162 games I will be watching, monitoring and dissecting all things Red Sox making me into a less evolved person than my current form. In fact it’s already started. Who will replace Andrew Bailey as closer? Why is Bard starting and Aceves in the bullpen? Why is Curt Schilling making it harder and harder for me to like him? Do you think Theo misses us? Is David Ortiz’s steady diet of rice and beans the secret to a fountain of youth? These are just the opening volleys of my baseball neuroses. As maddening as this can be for those around me, I actually enjoy it. Baseball is great because it’s the sport that can be analyzed the most through its ridiculous amount of statistics. Pouring over who should be in the lineup against right-handers and left-handers, who the outfield should shade to pull the ball and a whole host of things to ponder for no other reason than to distract myself from more pressing matters. And this is why I love opening day, it’s time for me to focus on stuff that really doesn’t matter. LIVINGSTONE: It’s finally here. After an off-season that saw the American League become the powerhouse of baseball with the additions of Prince Fielder and Albert Pujols, columnists, baseball nuts and die hard fans talking about who will win it all, who will have the big season, who will throw the first no-hitter, who will fall from high expectations – it’s here. For any baseball fan, opening day is about equality. Every team starts today tied for first in their respective divisions (not the Cardinals and Marlins, of course, after the 4-1 win last night for the reigning World Series champs). Every team, after a long and intense spring training season, walk into their clubhouses to play the first of 162 games with the hopes – and dreams – of making the playoffs. Every fan is excited, even Astros fans, at the chance, albeit slim, that their team will play meaningful games in September and hopefully, in October. For baseball fans, it’s about living out a childhood dream, day in and day out, watching your favourite team, favourite player, whatever it may be, playing the great game of baseball. It’s about the dream of being on the field, playing a game you once played in the schoolyard, or play with your friends on a Sunday afternoon in July. For the fan, it’s about being able to live that dream of playing in the major leagues, even if there was never a chance of being the starting first baseman for the Royals, or the starting center fielder for the Cubs. We all dream it. Even today, nearly thirty, out of shape and likely to have my arm fall off if I tried to throw a pitch, I think about those days on the field when I was 13, pretending to be Juan Guzman, or Dave Stewart, or Rick ‘The Wild Thing’ Vaughan on the mound in small-town nowhere, pitching in the biggest game of my life. It brings me chills of excitement. My wife teases me about my profound love for the game. I eat, sleep and breathe the sport and sometimes it drives her nuts and she’ll tune me out when I start talking about how I’m nervous about Adam Lind’s performance this year, or my never-ending rants about how frustrating it is the Jays didn’t sign Yu Darvish or whatever. But she understands. We all have a profound attachment to something in our lives – that isn’t necessarily a person. I love my wife more than baseball (I think it’s a given, but I’m sure some fans love baseball more), but baseball takes me back to those timeless moments on the field, a wad of sunflower seeds in my cheek, my fist slapping the palm of my glove as I wait for a groundball, the dust coming up after a short-hop snag at first base. Whatever it is, I couldn’t care less. I was playing baseball. 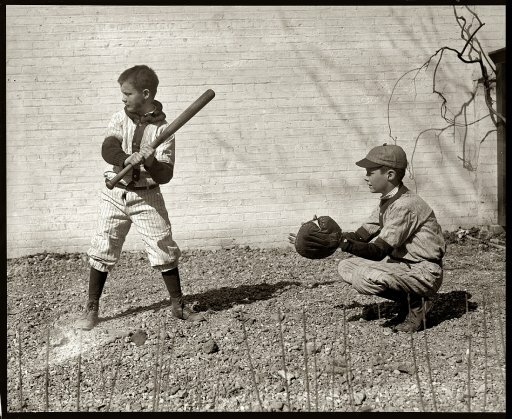 Years later and more a slo-pitch player than anything, when opening day comes along in early April, I can’t help but revert back to my childhood, when nothing but baseball mattered. It’s a beautiful day during the season of hope and revival. It’s the beginning of the baseball season and I, like millions, welcome it with open arms. So today, leaving work early enough to get home in time for the first pitch of the Jays and the Indians, I’ll embrace another opening day and the childhood memories that come with it. 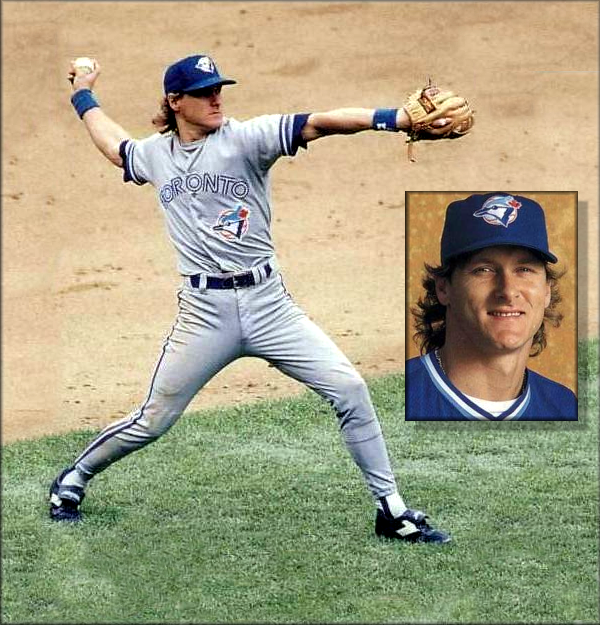 Lorraine McGillis loved the Blue Jays - especially Kelly Gruber. Her first baseball game is one Matthew Strader will always remember. STRADER: When I think about opening day I think about my buddy Germain’s grandmother, Lorraine McGillis. I moved to Toronto for the second time, about five years ago. My wife grew up here, here family unit is here, and so for our early-thirties lets start a family phase of life, she wanted to come home. Chris Germain is one of my closest friends from the west, Kamloops to be exact. He came to visit, and we arranged a Blue Jay game. I was pumped. Canada doesn’t have a lot of us, true baseball fans I mean, so when one does come along, it’s a kindred spirit, and anything baseball you do get to do with each other you make a massive deal about it. Believe me, I’ve had stickball games in my backyard that have lasted six hours. But as our day approached, and Chris’ visit was imminent, it kept becoming clearer that this day, for him, wasn’t about us. At first I was disappointed, and a little frustrated. But then I met grandma. She was a heavy set women bound to a wheelchair. Serious health issues had stolen a good portion of her life. She clung to an oxygen tank, and would not leave her two-wheel ride that day no matter how much she had wanted to stand and cheer. She wore grey on grey sweat pants and shirt. Clothes no longer were about fashion for her, simply practicality. She was a picture of the phases of life we all in our heart fear, and yet, on that day, she was also one of the most beautiful women I have ever seen. You see, Chris’ grandmother had an unfortunate health story. Her body had begun to betray her years before that day. She had no choice but to cling to her chair, and because of that, her physical life stagnated. And what did she do to pass the time? She watched her Blue Jays. Every day, every game she could. If no TV, she turned on the radio. She didn’t miss her Blue Jays. She hadn’t missed a game since the first opening day, health concerns or not. This was her team. Those were her boys. She knew everything about everybody on the team, she knew everything about Blue Jay team’s I couldn’t even remember. She knew the look of the inside of the stadium like the back of her hand, and because of the way life was choosing to leave her, she’d never even seen the outside of it. Her health problems, along with meager financial means, meant she was a TV only fan. This was to be the first Blue Jay game of her life. Within minutes we were all children at our first game. Chris and I joked weeks before hand that if Brian Tallet came into the game (a sign of certain death) we were throwing our peanuts and leaving. Brian Tallet did come into that game. The Blue Jays lost 10-0. None of us cared. We enjoyed every minute of it. There is something pure about the game. Something magical about having your home team that you hold dear. We all get to feel involved, entitled, expectations and disappointments. We all get to feel…and that’s all she wanted. She wanted to smell the smells, hear the sounds, and cheer with the crowd. She wanted to enjoy a baseball game. I’ll never forget the day we got to give that to her. Chris’ grandmother died in February of the next year. The Blue Jay game was still fresh on her lips. “That game was all she talked about every weekly phone call from that day to her passing,” he told me. When I think about opening day, and why I love this game, I will always think about that day, my buddy’s grandmother and the words of the great Ernie Banks.